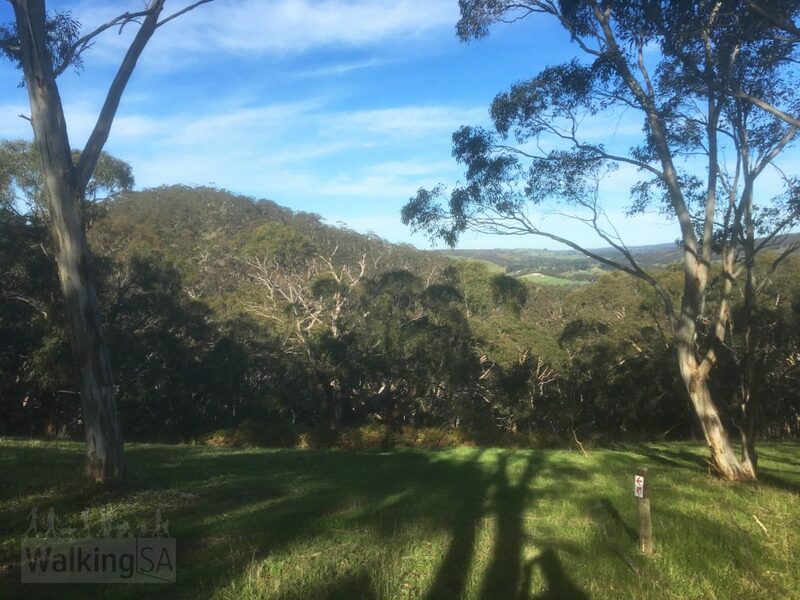 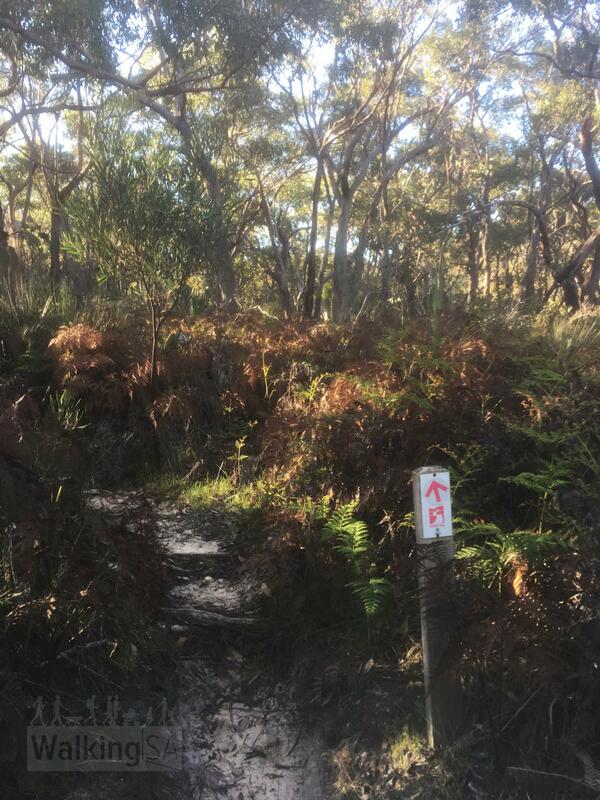 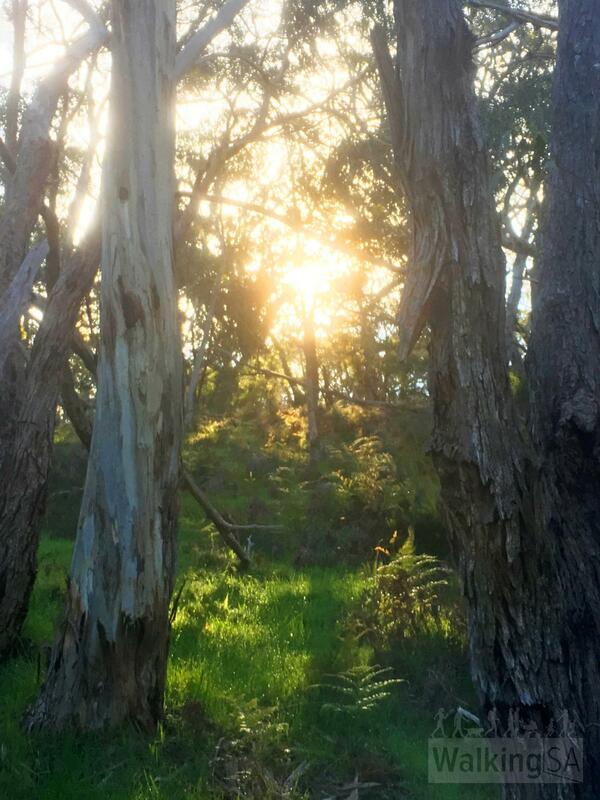 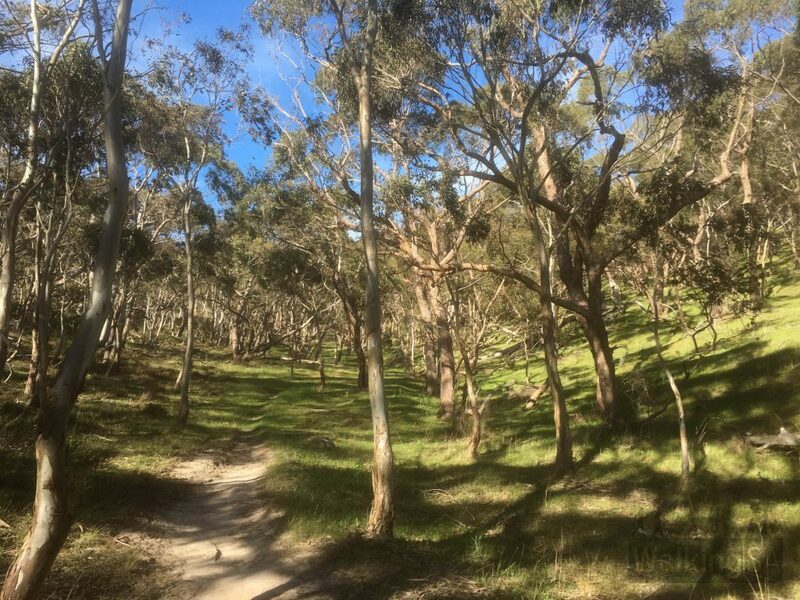 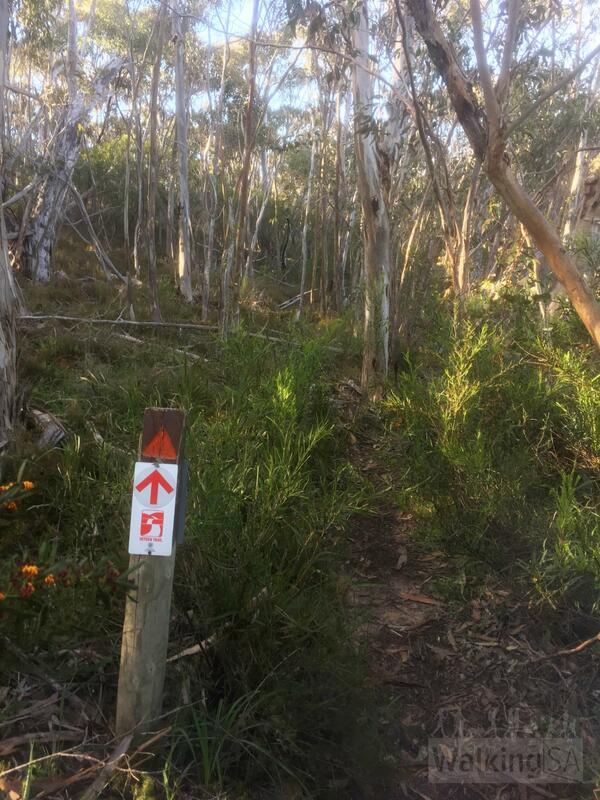 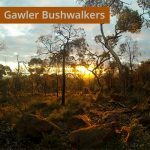 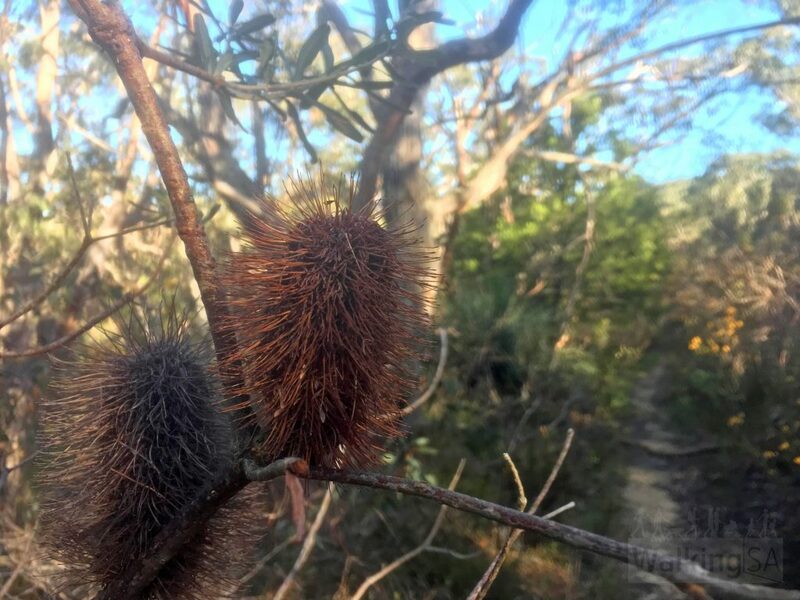 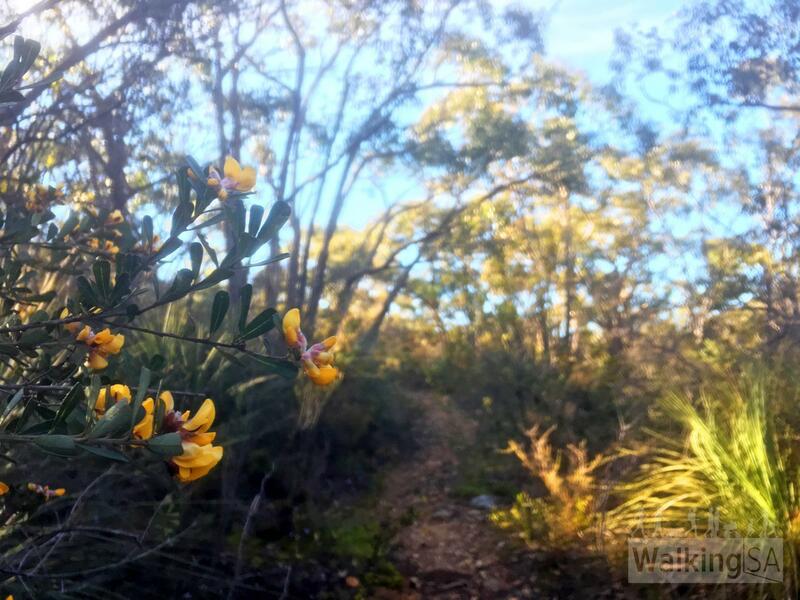 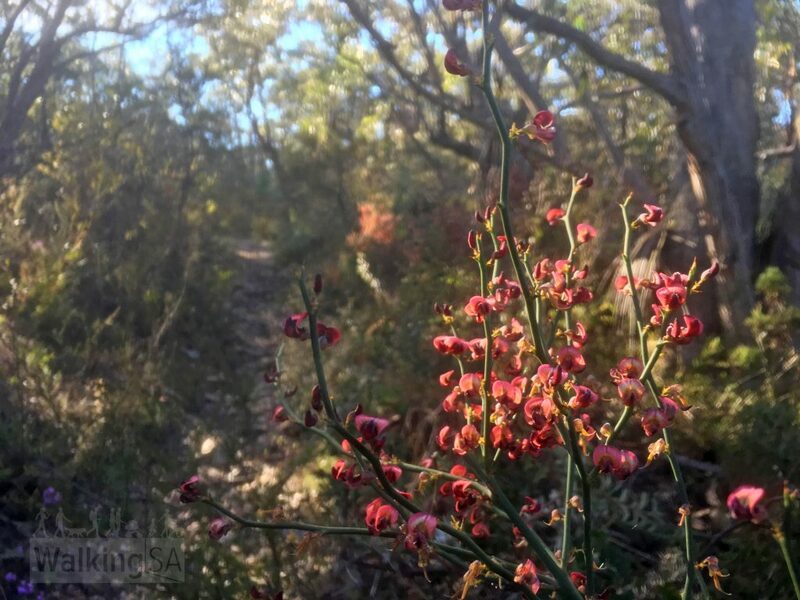 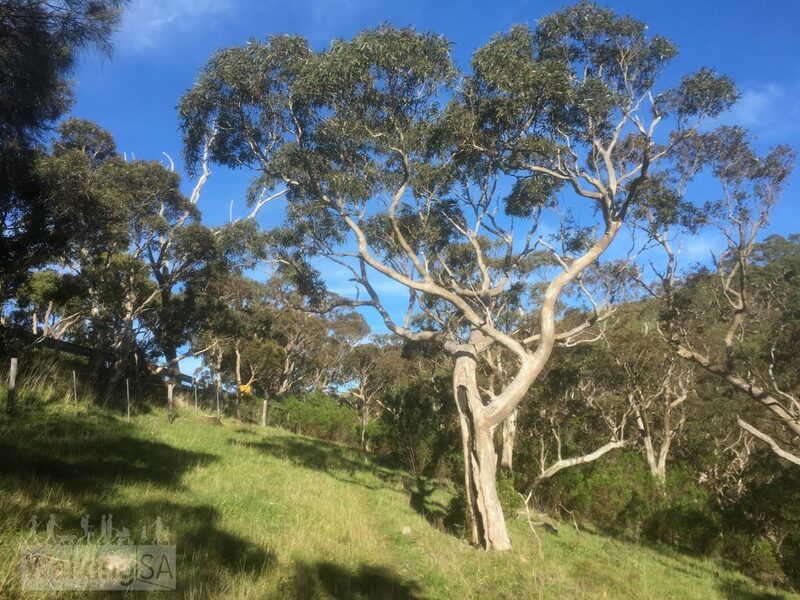 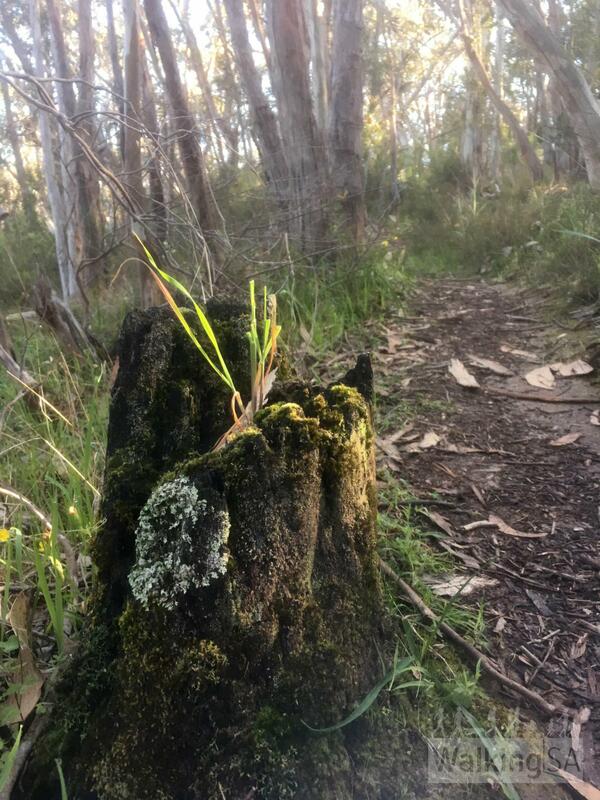 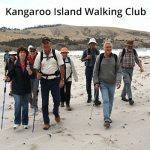 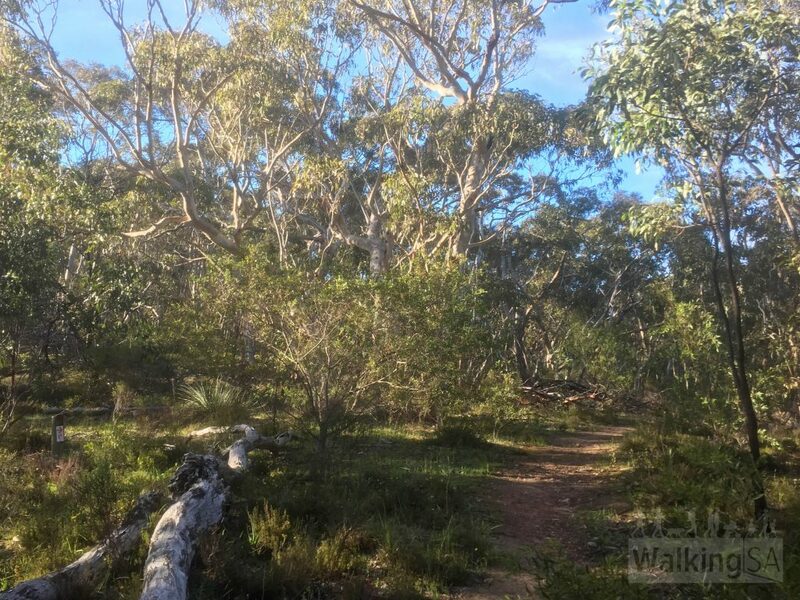 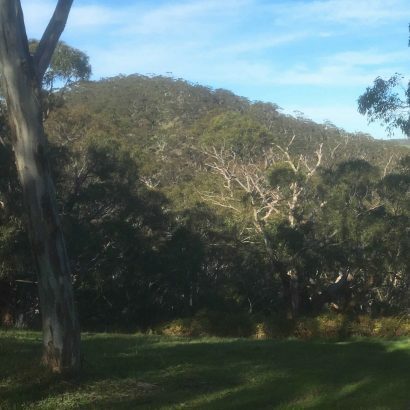 Follow the Heysen Trail in Mount Magnificent Conservation Park, through the forest up to the summit of Mt Magnificent, where there are spectacular views of the surrounding countryside. 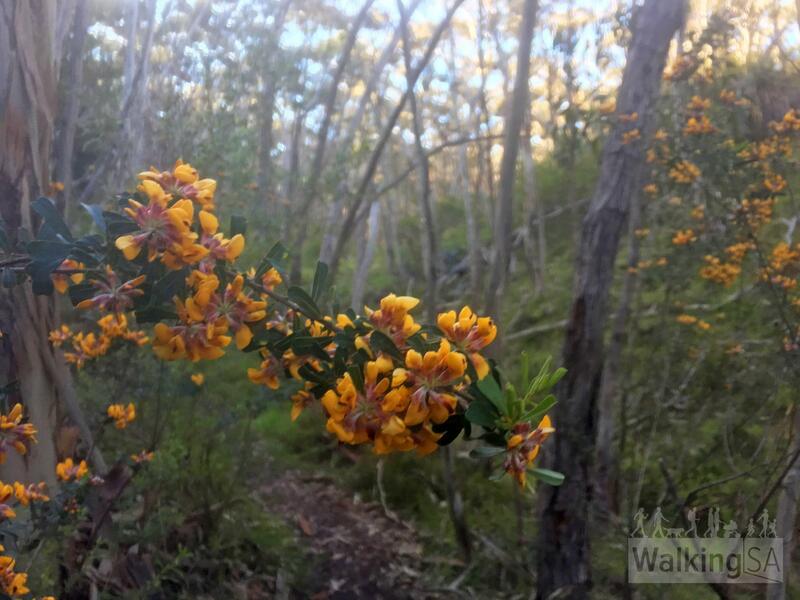 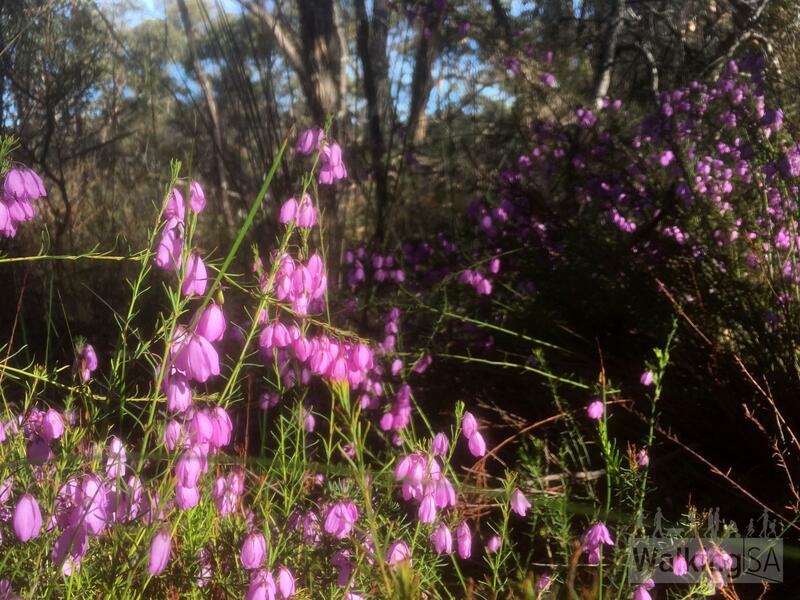 During Spring there are often wildflowers here in the gullies off Blackfellows Creek Road. 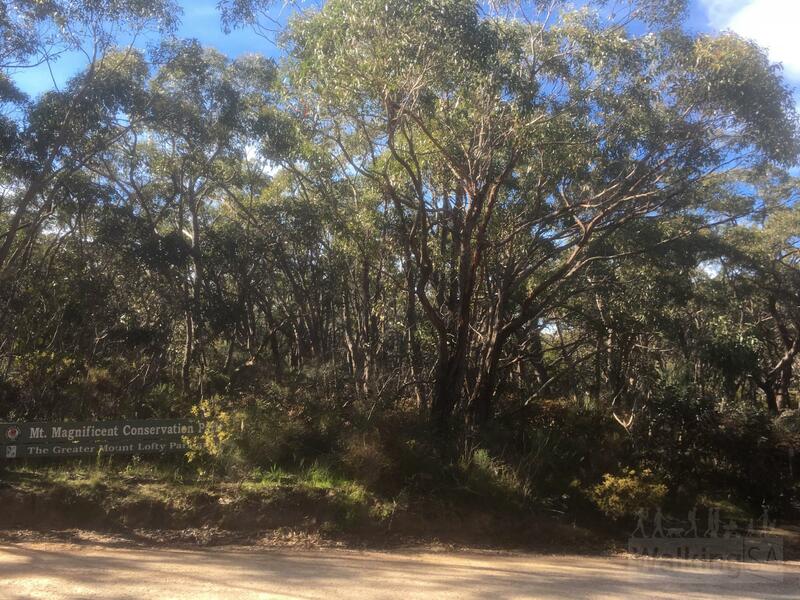 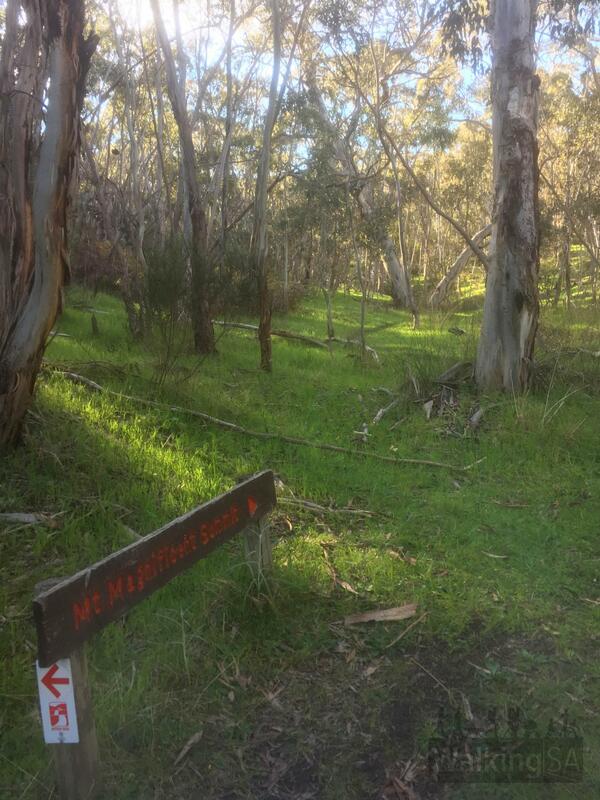 Start the hike on Blackfellows Creek Road, where the Heysen Trail enters the Conservation Park. There is a small parking bay here for 1 or 2 cars. 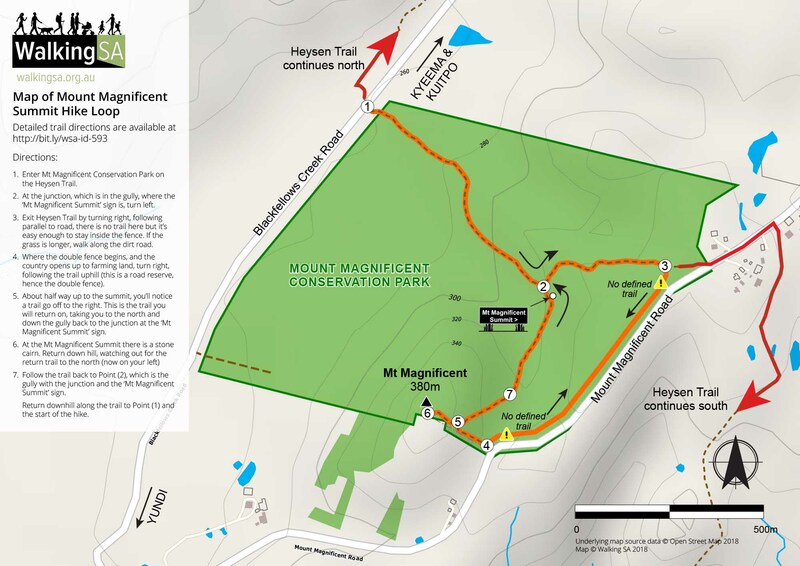 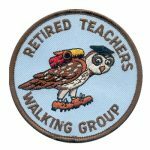 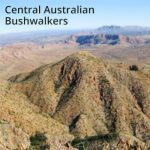 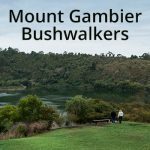 This hike is sometimes called the Mount Magnificent Walking Trail or Mount Magnificent Walk. 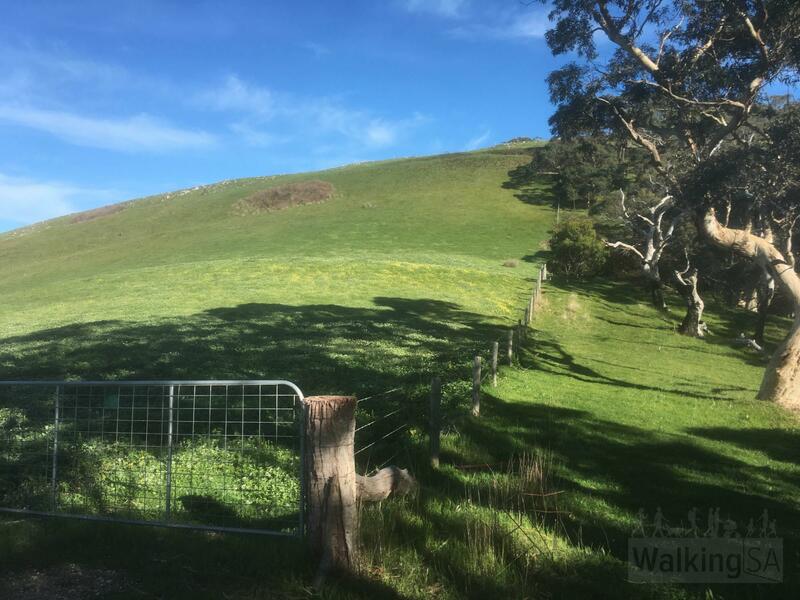 Exit Heysen Trail by turning right, following parallel to road, there is no trail here but it’s easy enough to stay inside the fence. 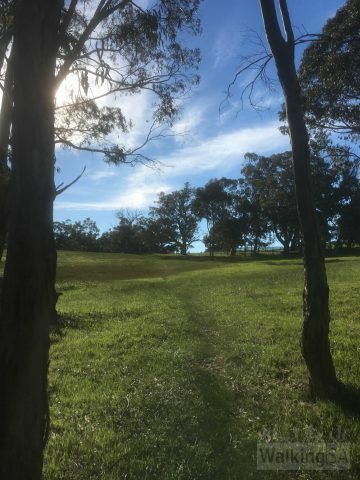 If the grass is longer, walk along the dirt road. 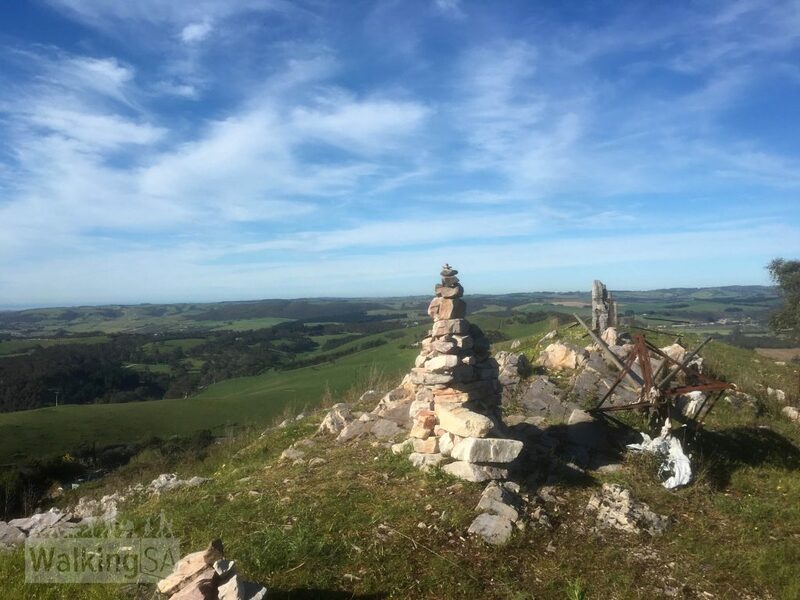 At the Mt Magnificent Summit there is a stone cairn. 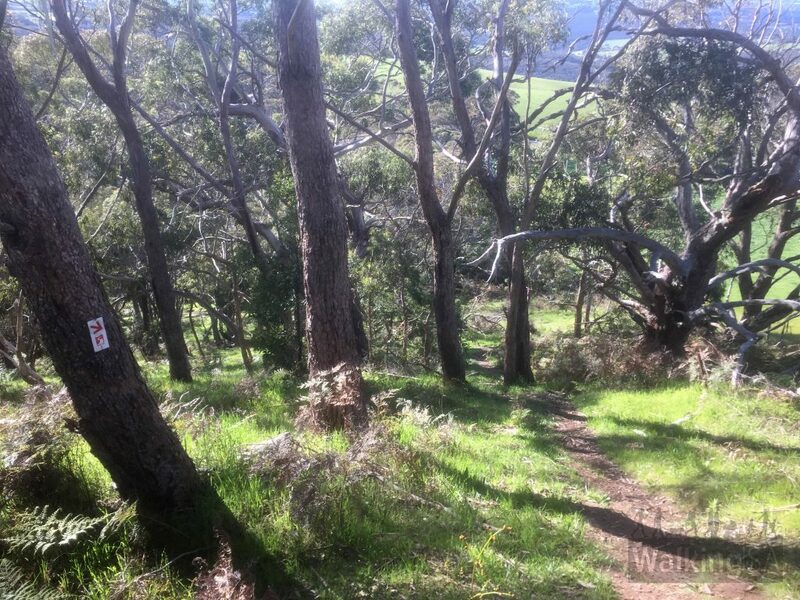 Return down hill, watching out for the return trail to the north (now on your left). Don’t follow the ridgeline north of the summit, it’s open enough but it would be difficult to find the return trail in the gully below.